After the news that the Galaxy Note 9's biggest upgrade has been cancelled, Samsung may be delving into even hotter water with their latest decision to slash a major feature in the Galaxy S10. However, what many people don't know is that Samsung is also adding the finishing touches to Galaxy S10 at the same time. Korean publicationThe Bell reports that Samsung has not requested Iris scanners from its usual suppliers. Forbes recently mentioned that Samsung Electronics has a technique for hiding hardware from a smartphone screen and the technique is likely to be exhibited at the Consumer Electronics Show scheduled for January next year. Those are all codenames, of course. In-display fingerprint-sensing technology is also coming to the Galaxy S10 line, although it's not clear whether or not all three "Beyond" models will get it. That seems to be the implication of rumors that Samsung is ditching the iris scanner in the Galaxy S10 in favor of both 3D face recognition and FOD. The Galaxy S10 leak is unveiling a shocking change that Samsung is planning to make to its next year flagship smartphone. The Bell is saying that Samsung has partnered with an Israeli based software company known as Mantis who is tasked to develop "Intelligent Scan". More so, with a 3D sensor AND an in-display fingerprint scanner, there is practically no need for an Iris Scanner. According to The Bell, Samsung is developing the face-scanning technology with Israeli 3D tech company Mantis Vision, and the feature will directly compete with Apple's Face ID launched a year ago (which has faced some criticism). 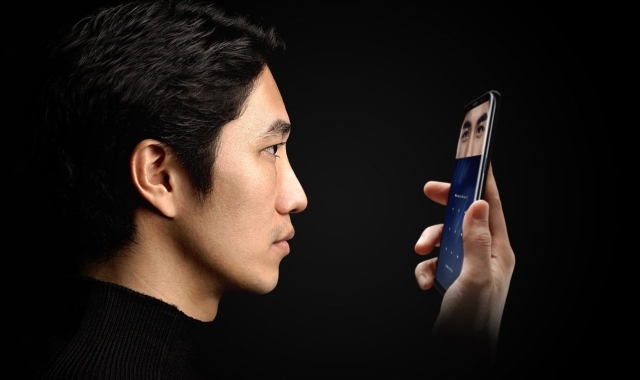 This feature is going to be Samsung's answer to Apple's Face ID.